Do you know that you can actually sleep through your next dental appointment, remembering nothing when you awaken? Sound too good to be true? Call Fine Dentistry and let us explain sedation dentistry to you. After we do, we’re confident that you’ll schedule what might very well be a long overdue appointment and take sedation dentistry for a test drive. 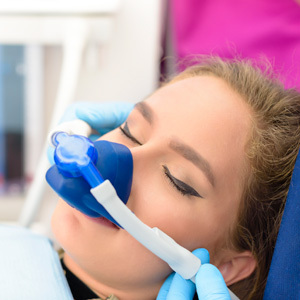 Sedation dentistry allows Fine Dentistry to offer you the optimal environment to complete multiple treatments in only one or two appointments. You remain calm and relaxed while we do all the work to improve your smile!